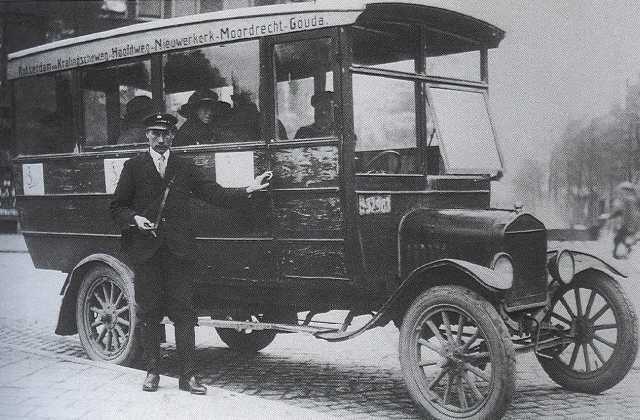 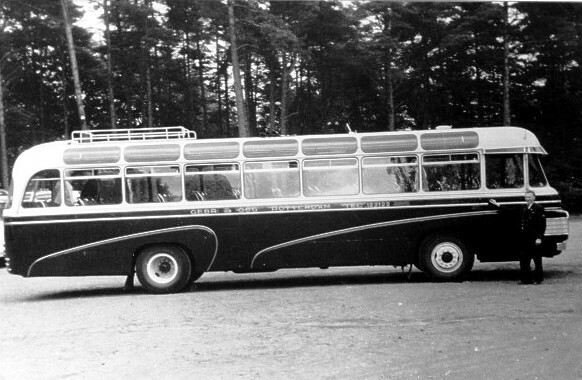 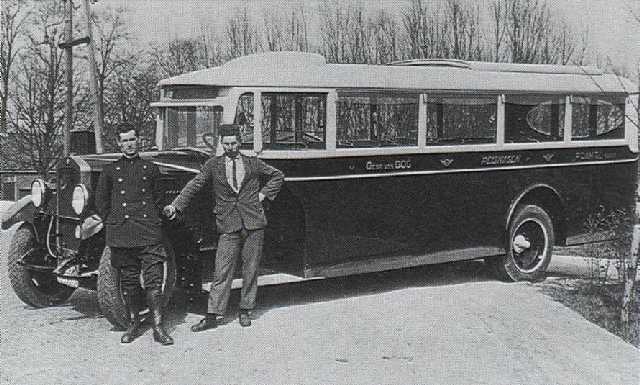 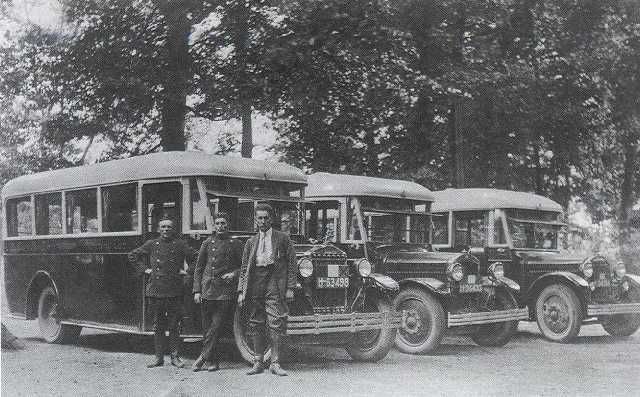 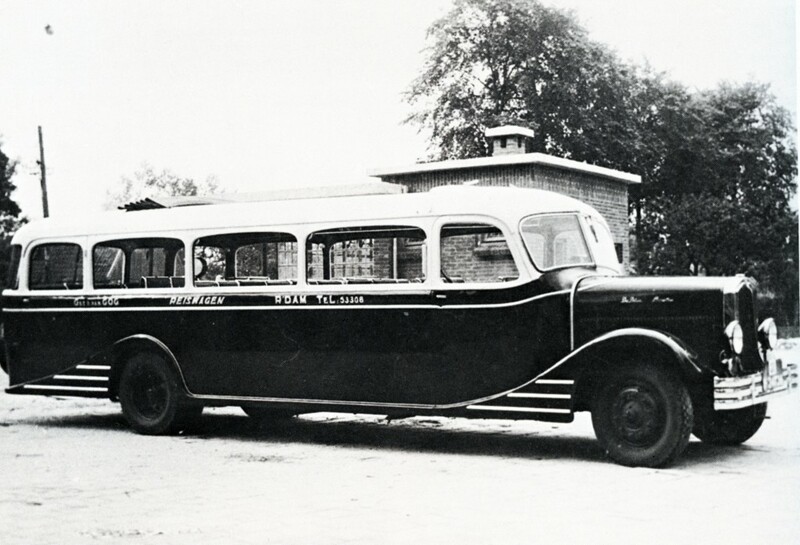 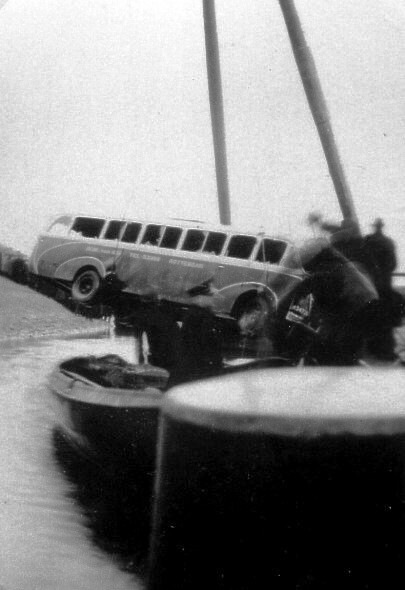 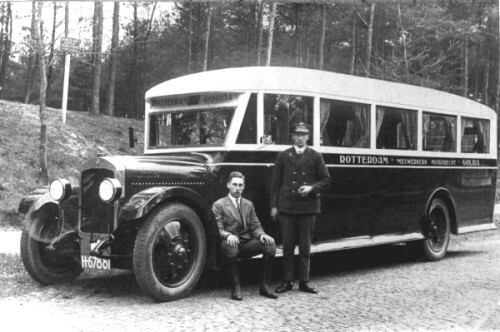 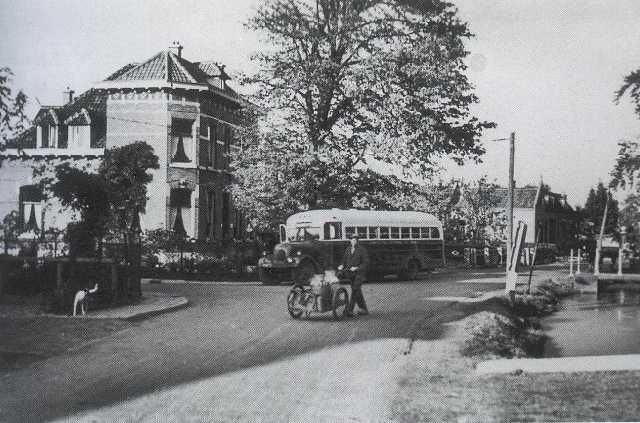 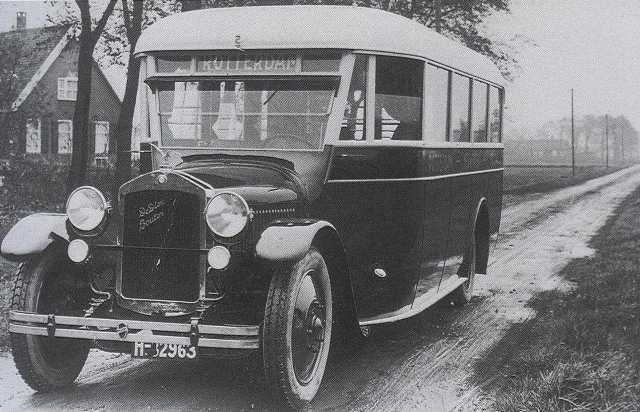 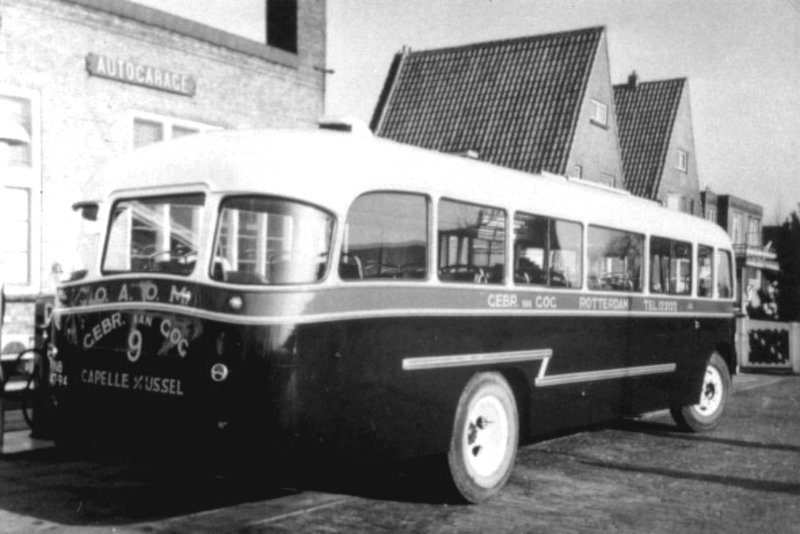 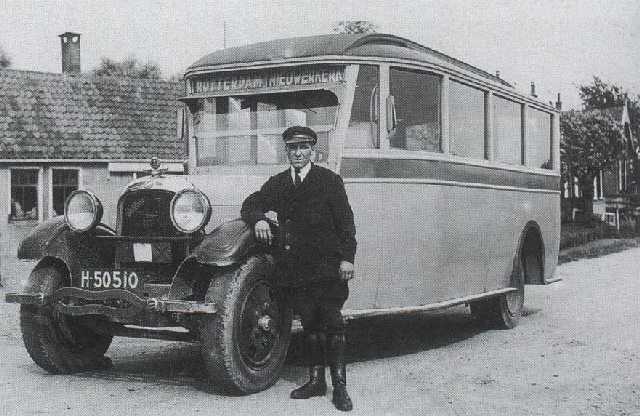 to Capelle aan den IJssel, also known as Mutual (Onderlinge Auto Omnibus Maatschappij) Car Omnibus society (O. 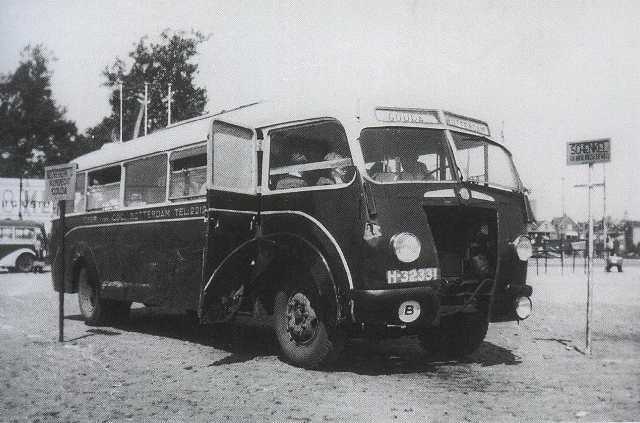 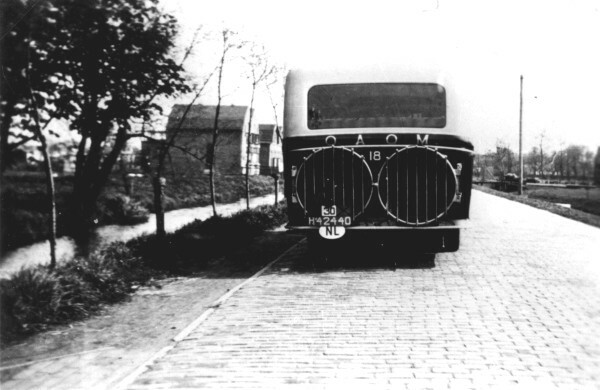 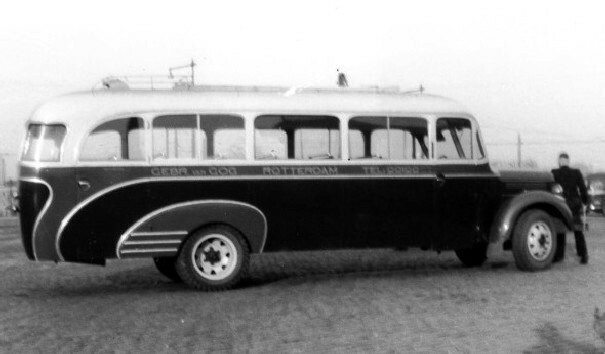 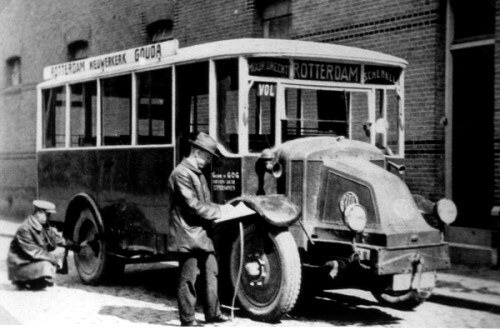 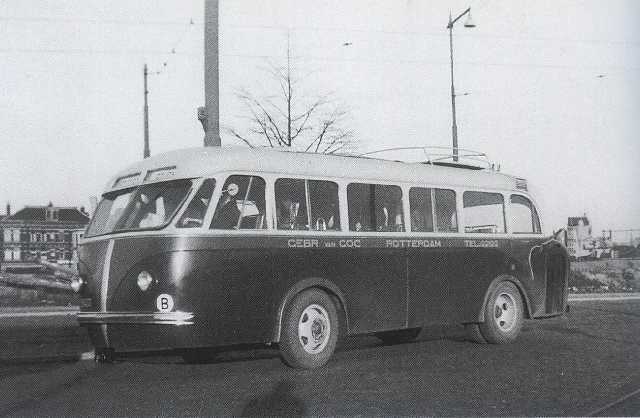 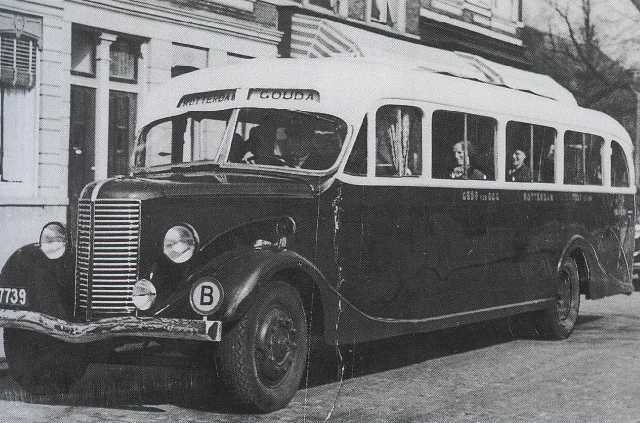 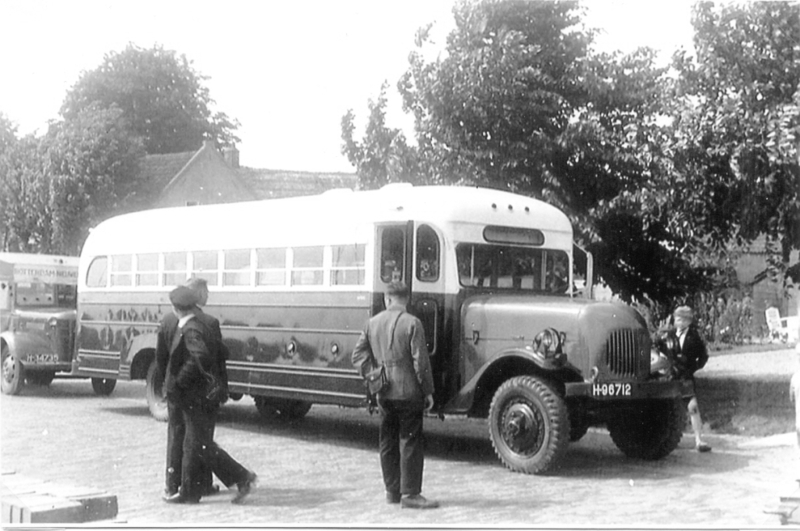 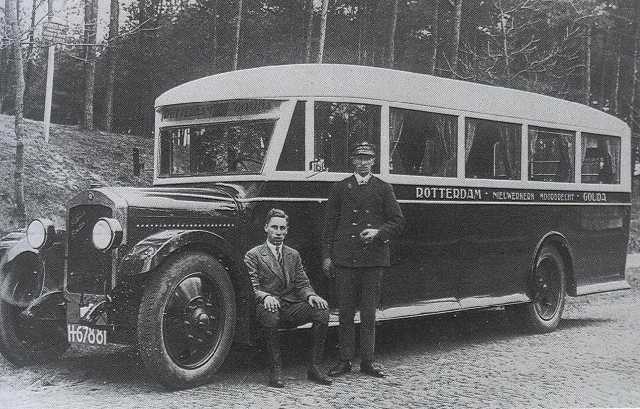 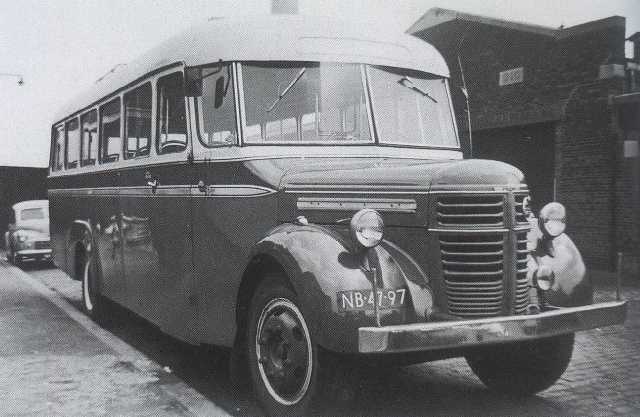 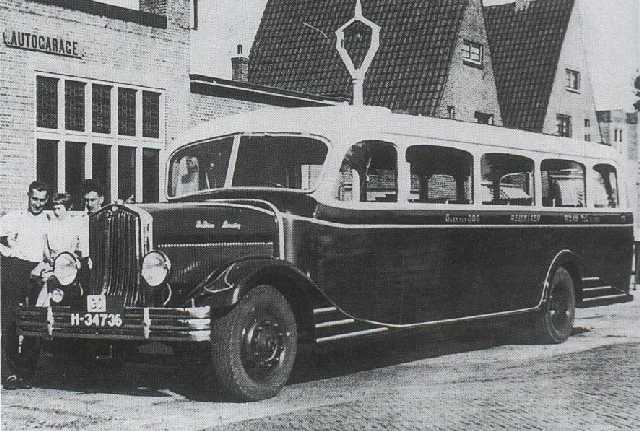 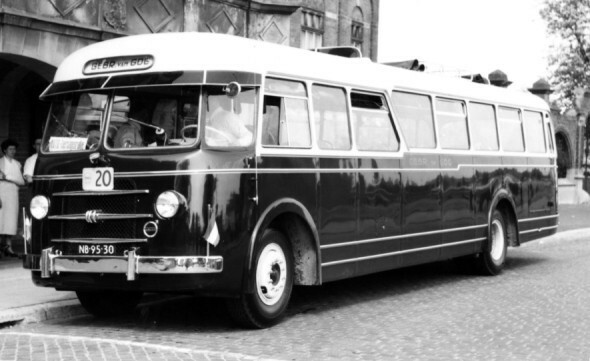 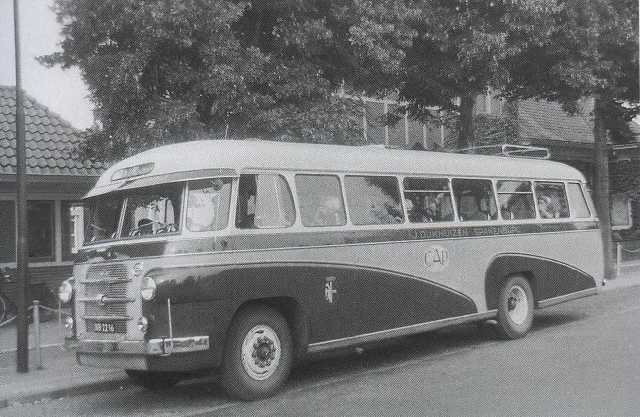 A. O. M), is a former Dutchpublic transport company, which was active from 1923 to 1967 independently in the regional transport per bus in the area between Rotterdam and Gouda and in the tourist transport . 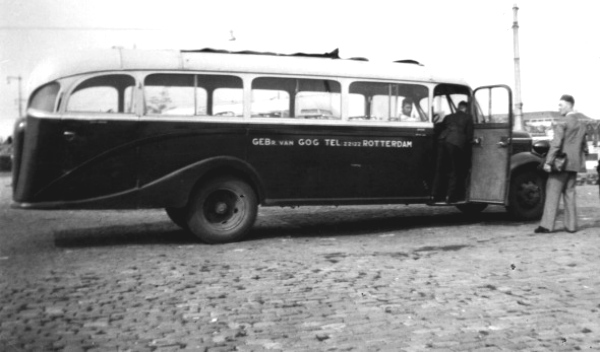 The company was founded in 1923 by brothers Wim and Leen Van Gog, who started a regular service between Rotterdam and Gouda. 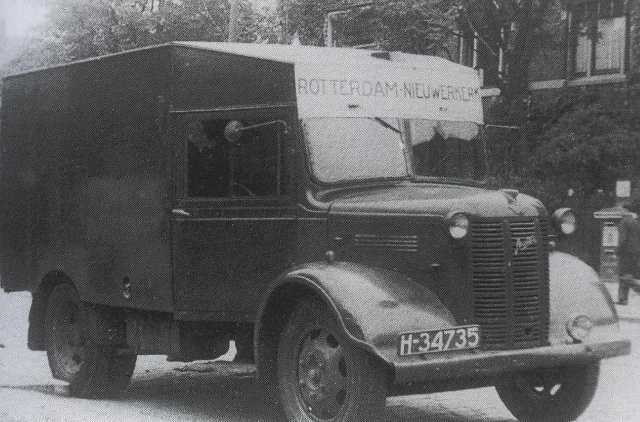 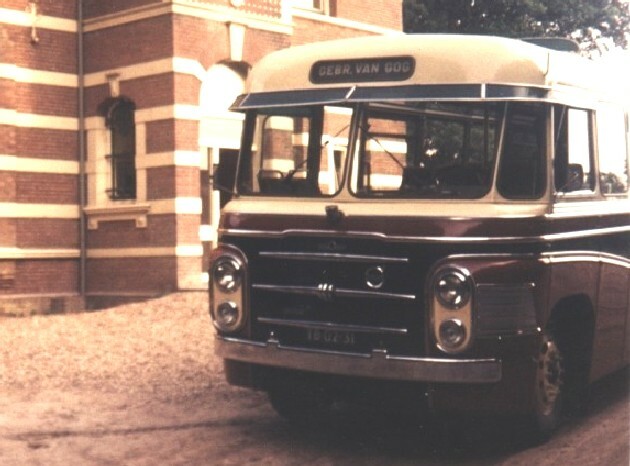 In the same year came a scheduled service between Rotterdam and came at Seven houses (Zevenhuizen) and also their brothers Klaas and Arie at the firm. 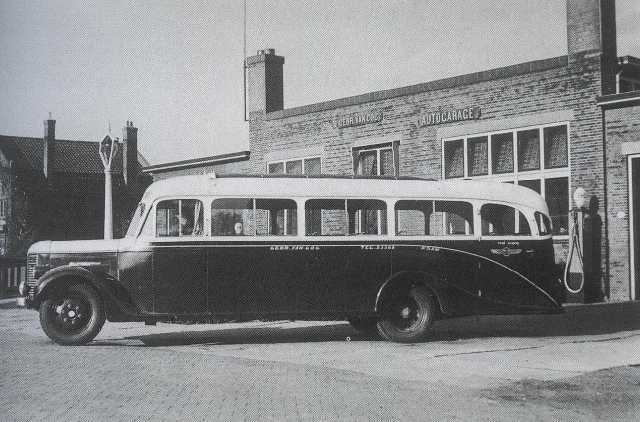 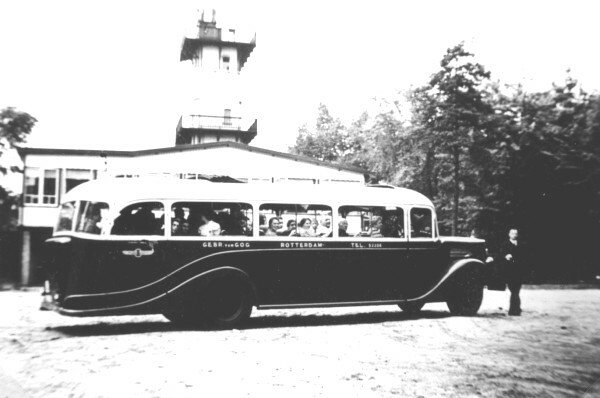 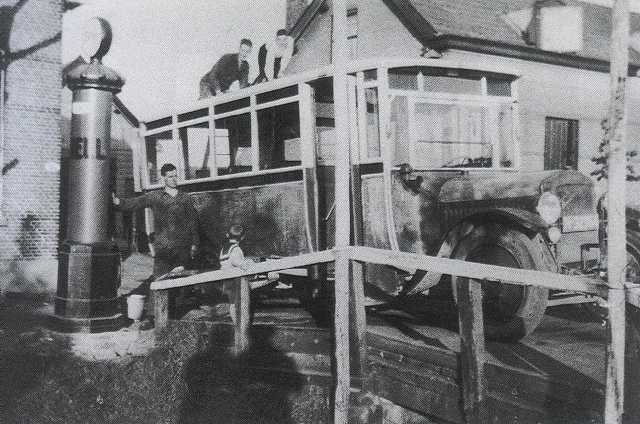 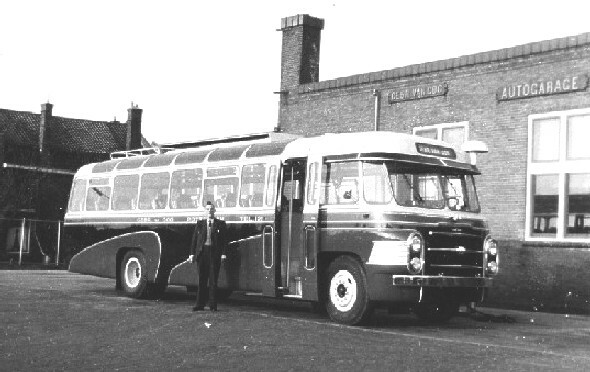 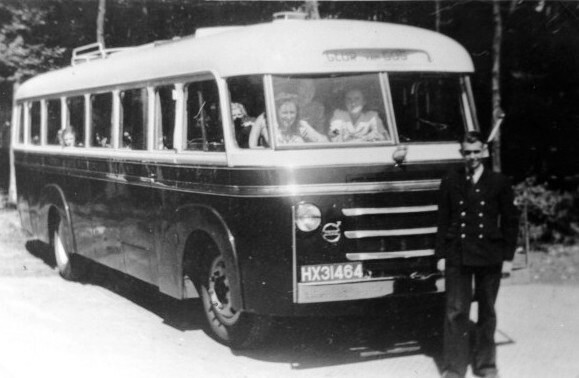 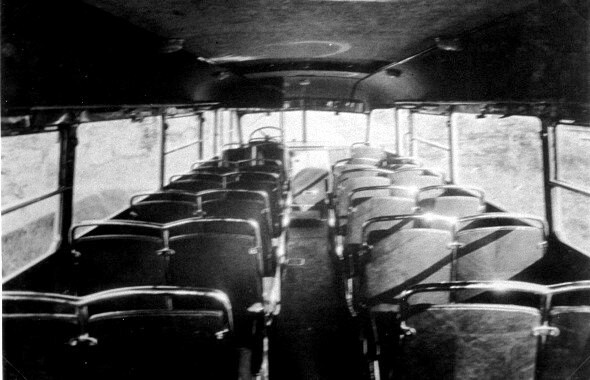 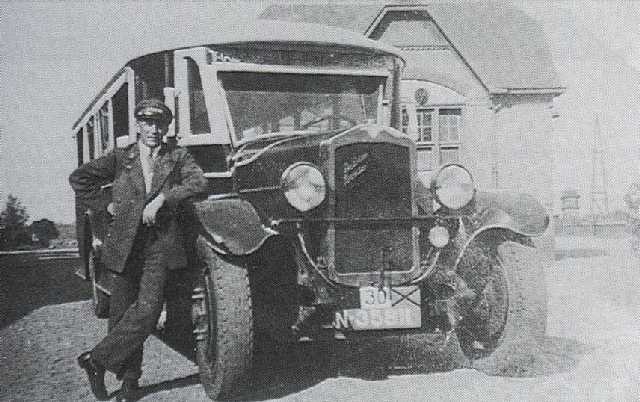 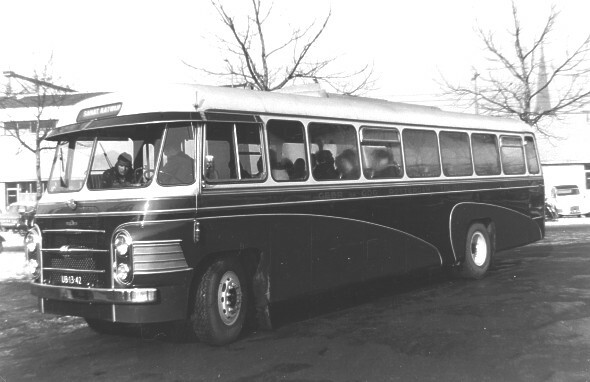 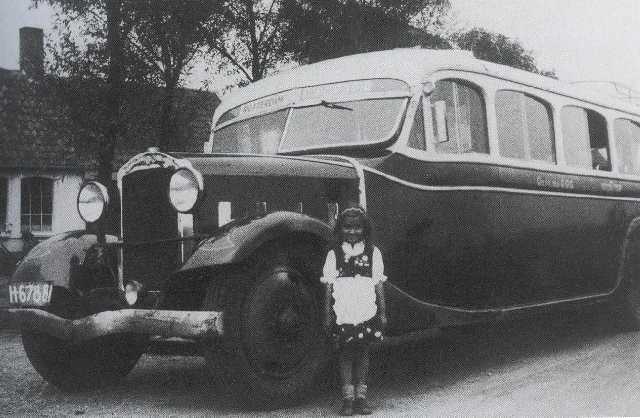 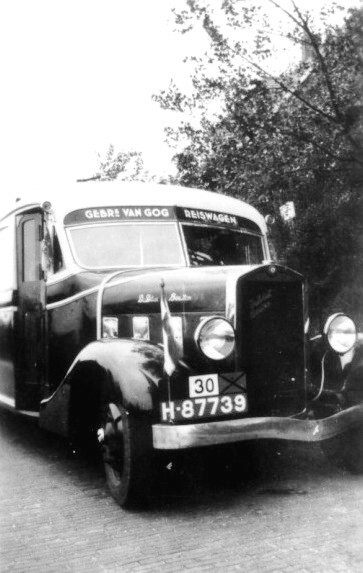 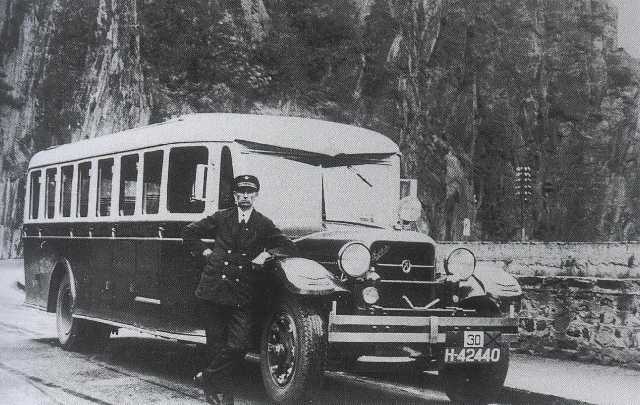 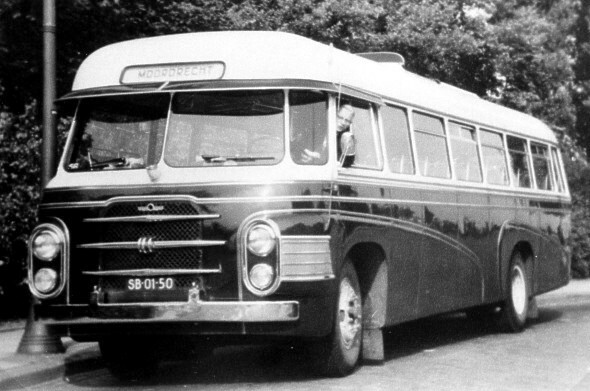 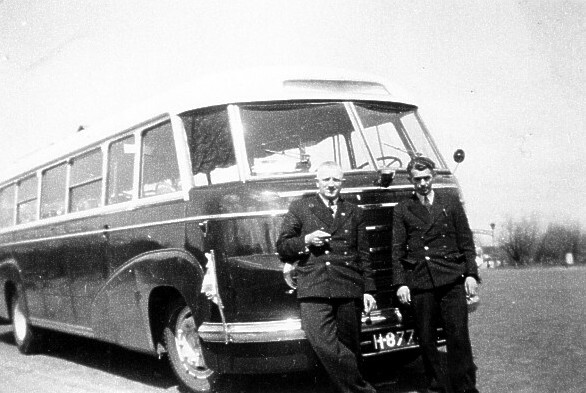 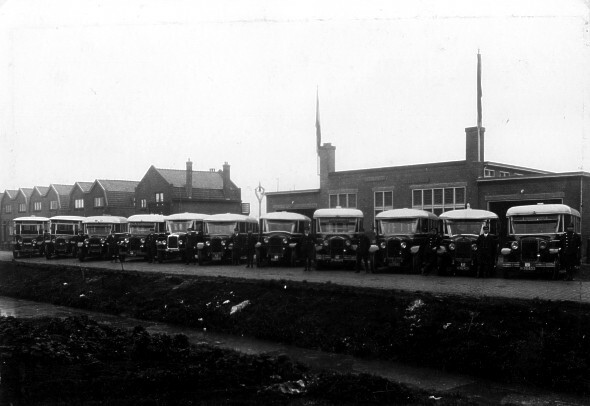 In the early years was Van Gog a fully family owned, but when the passenger numbers grew, more staff came in. 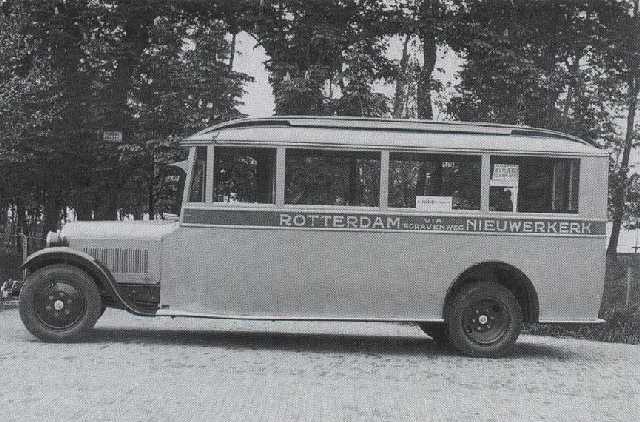 In 1934 the line Rotterdam- Nieuwerkerk aan den IJssel through the ‘s-Gravenweg retrieved from the NV Car Omnibus society “the Star” in Rotterdam, which had driven here since 1922. 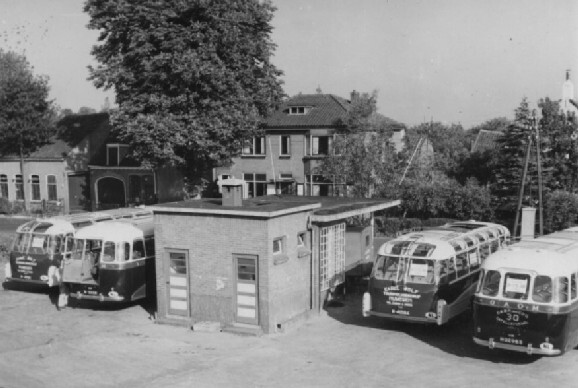 Between 1940 and 1944 became part of Gogs line’s services shut down because of the advancement of the fleet during the German occupation. 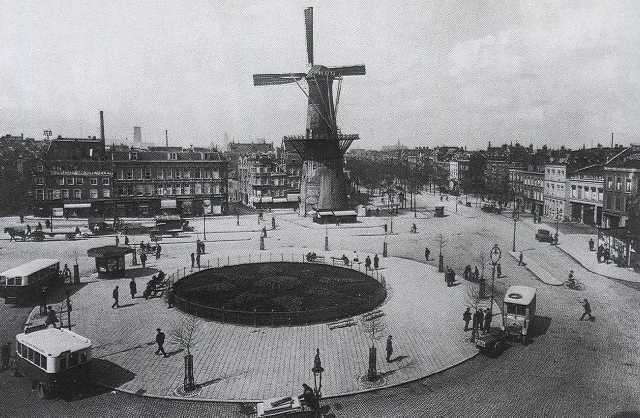 In 1944 the activities were entirely discontinued until after the liberation . 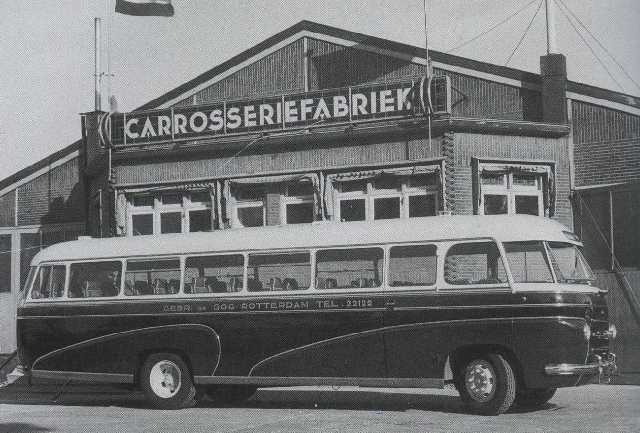 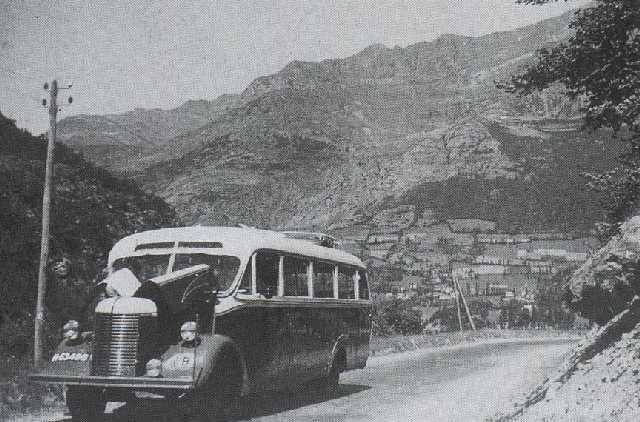 In 1948 closed the company in to the car transport Coordination Foundation People (c.a.p.). 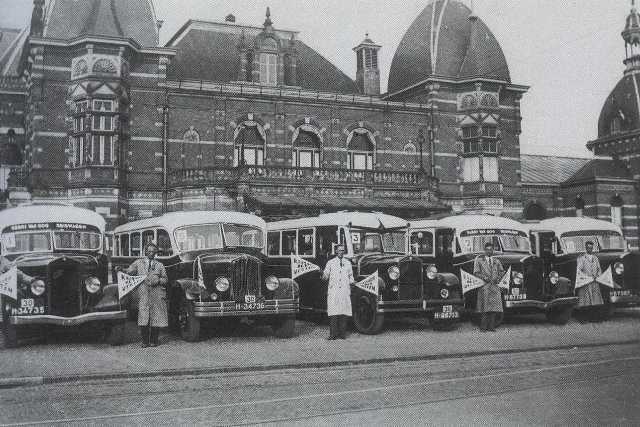 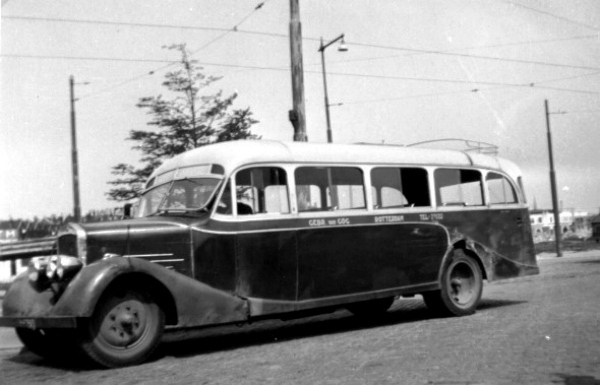 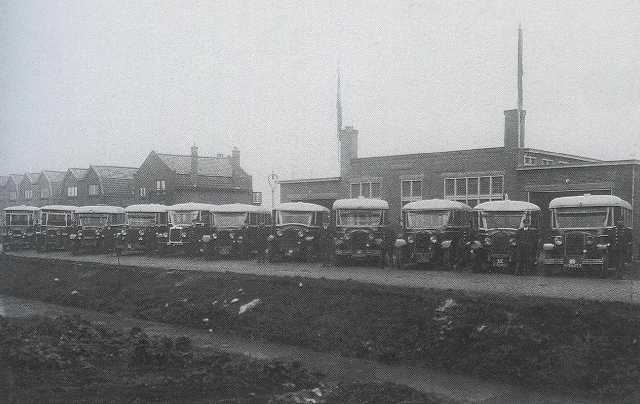 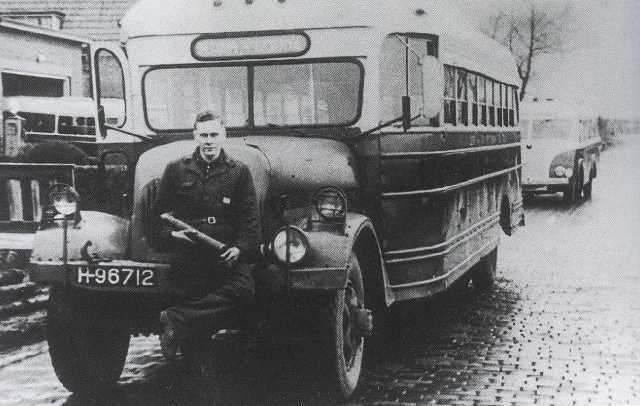 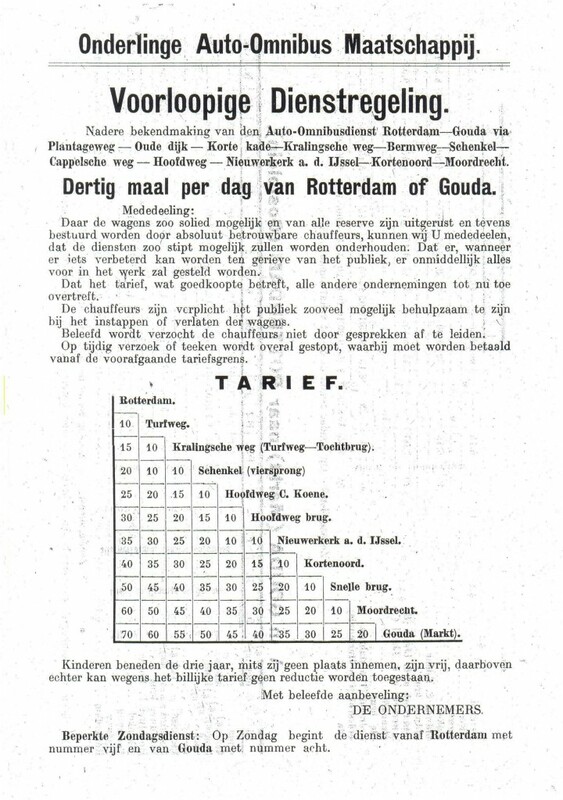 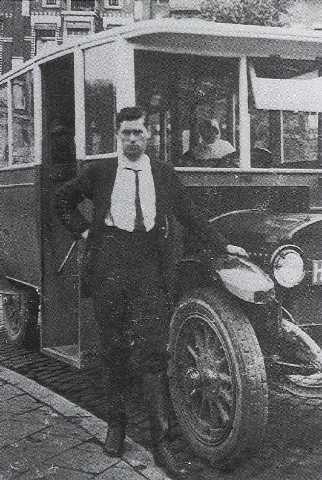 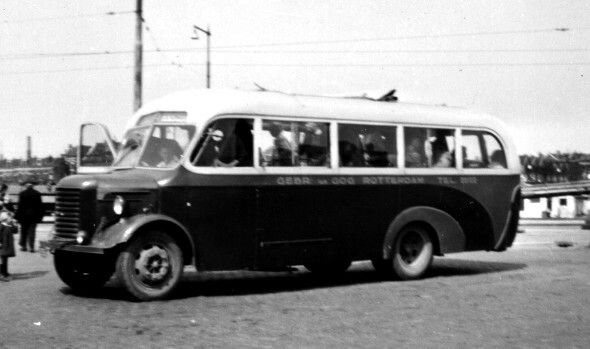 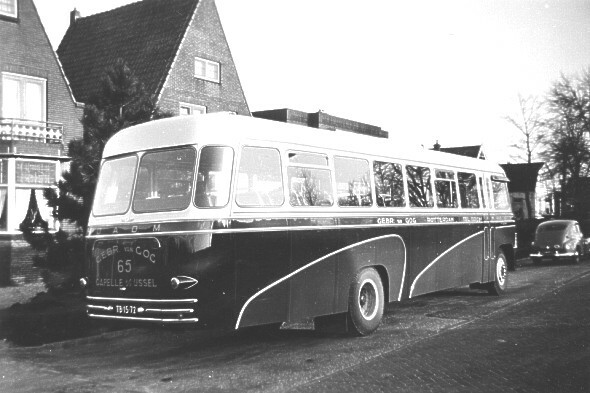 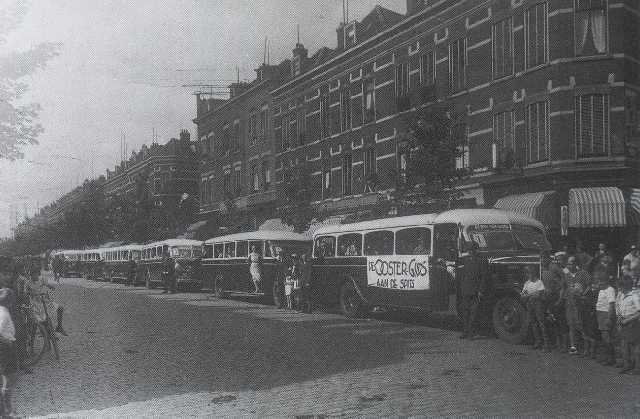 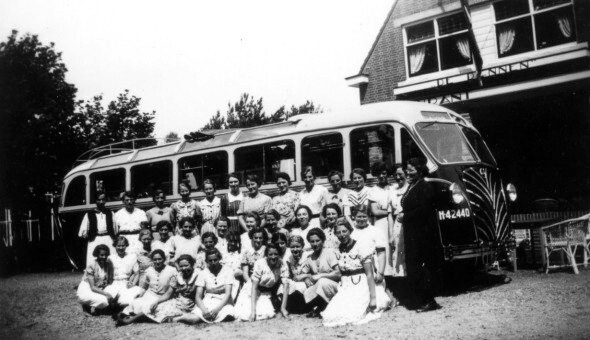 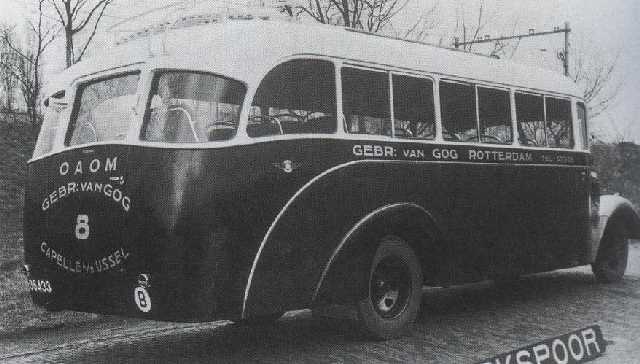 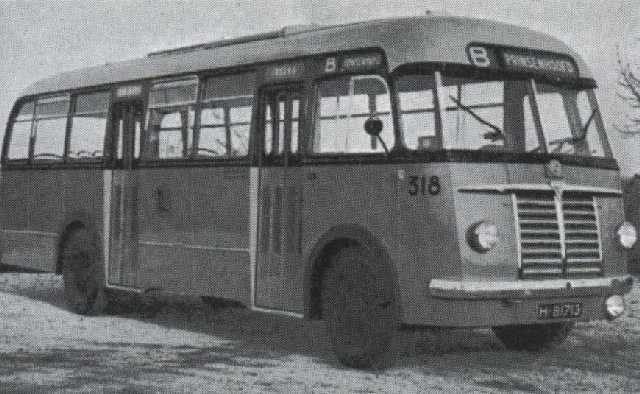 This partnership of eleven small private bus companies in South Holland and Utrecht was founded to defend themselves against the influence of the(Nederlandse Spoorwegen) Dutch railways, which through a network of subsidiaries an increasing proportion of the local bus transport in Dutch hands. 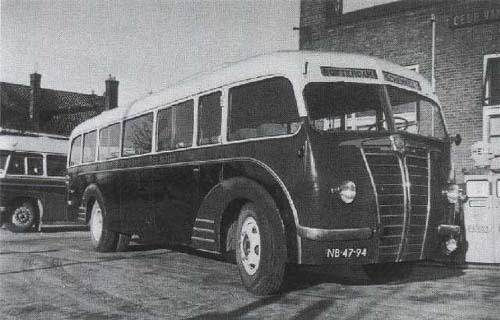 Already in 1947 had NS in vain placed a bid on the company of van Gog. 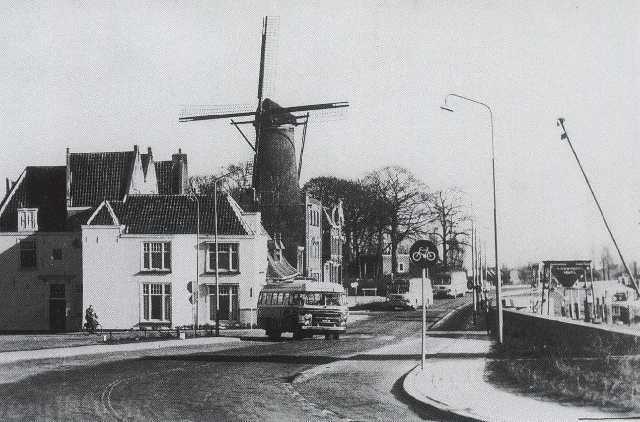 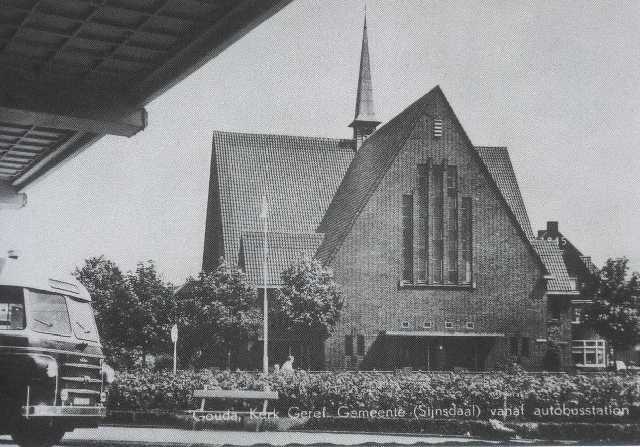 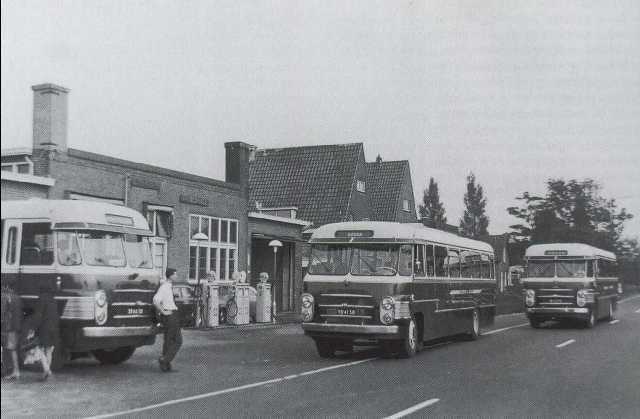 In the 1950s and 1960s took the transport on the lines of van Gog strongly, especially because Capelle aan den IJssel became a commuter village for Rotterdam. 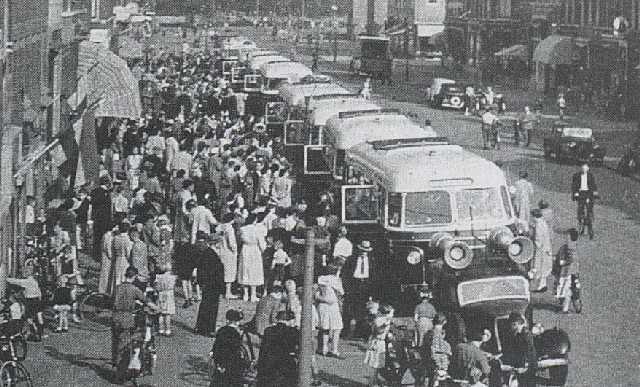 There were also lines at and the buses went more often than drive. 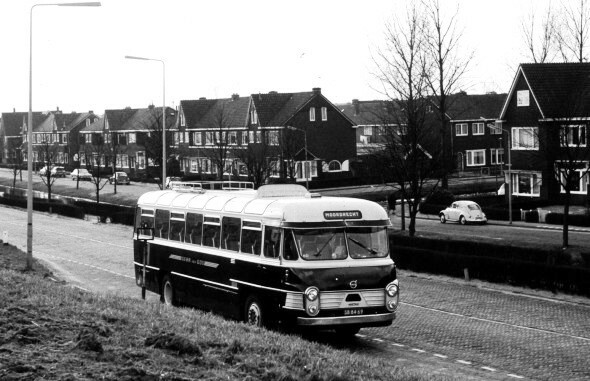 Despite protests from van Gog got also the suburban company RET a concession for a bus line to the Capelse Means watering (Middelwatering) new housing estate. 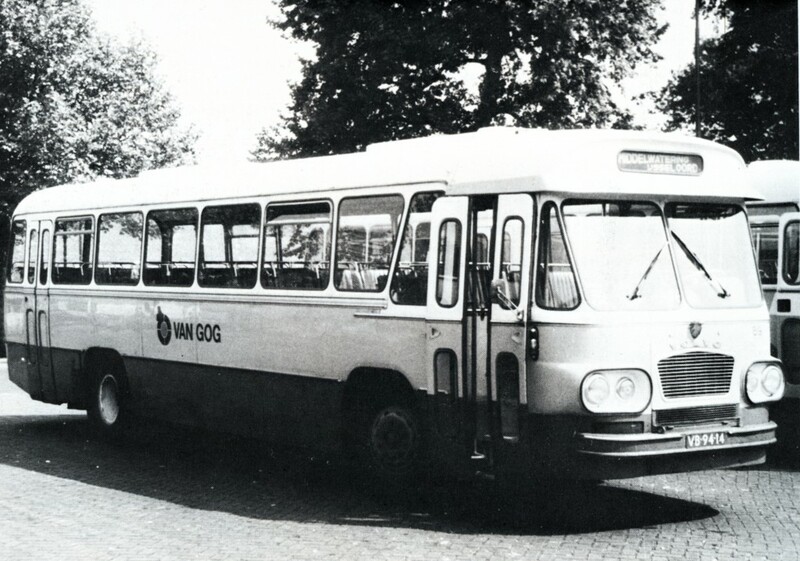 In 1962 the company was converted into a public limited company, with all shares owned by the family van Gog. 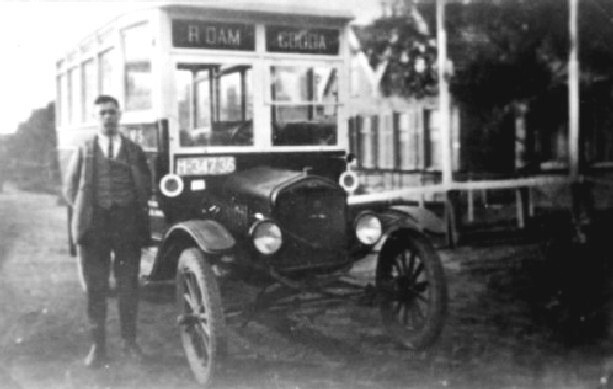 The name o. a. o. M was then no longer used. 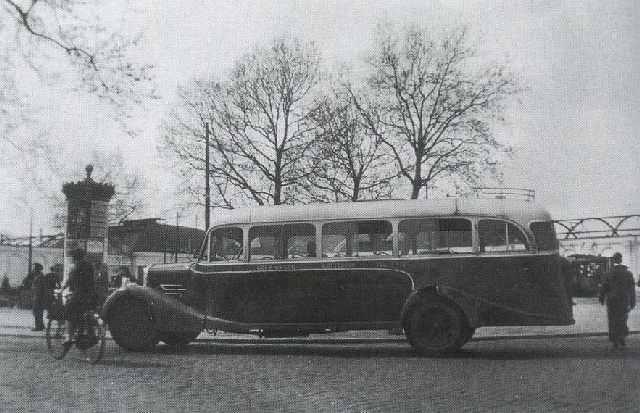 The owners, however, came on age and successors within the family were not. 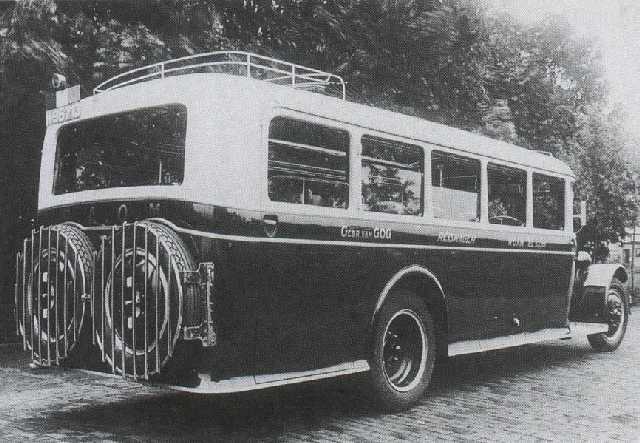 The profitability came under pressure because the (staff) costs ballooned, whereas the Central Government still hesitated about granting of subsidies to public transport. 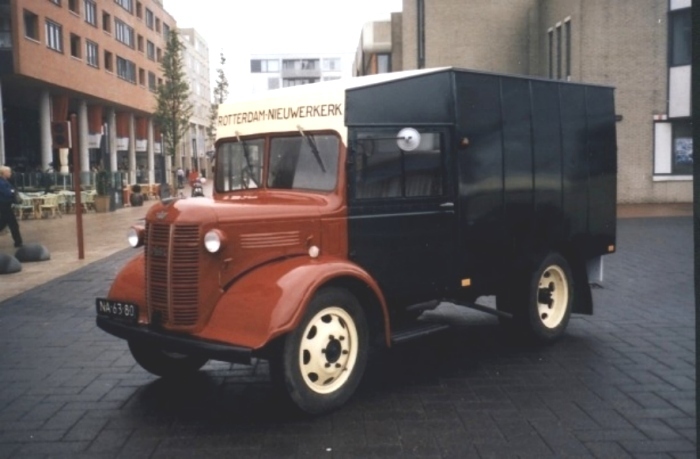 As a result, the company could not continue on the old foot and it was decided to sell. 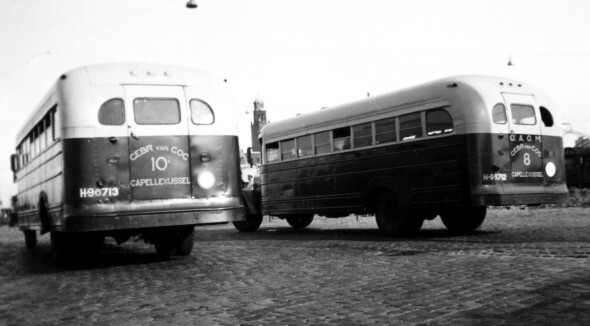 Velez was the first member of the c.a.p. 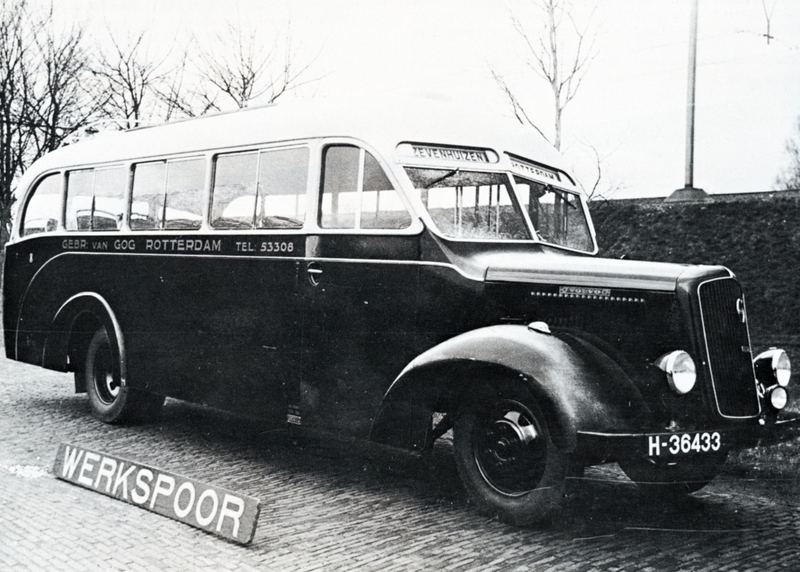 Foundation that allowed himself to take over by a NS- Citosa daughter, namely to the Boskoop. 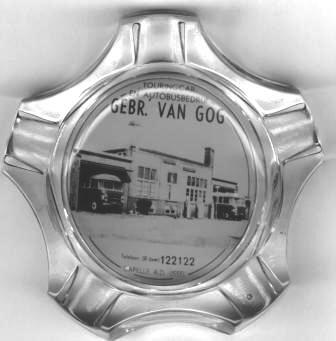 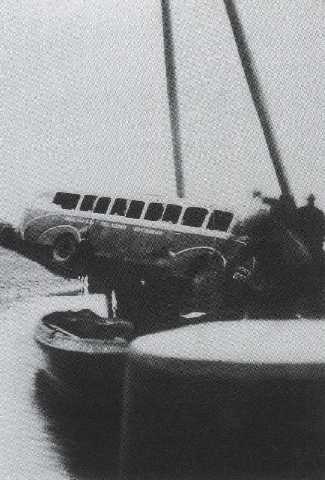 The shares were transferred on 1 October 1967 and pulled the family van Gog back. 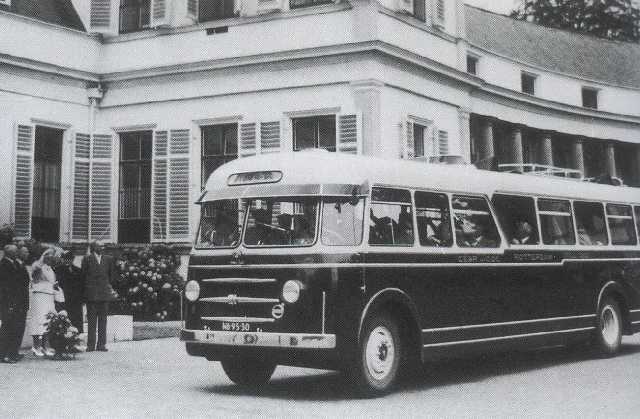 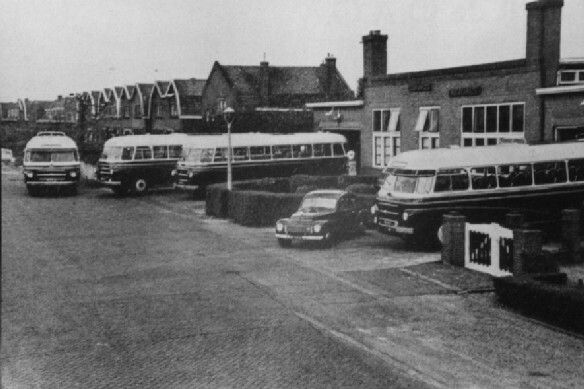 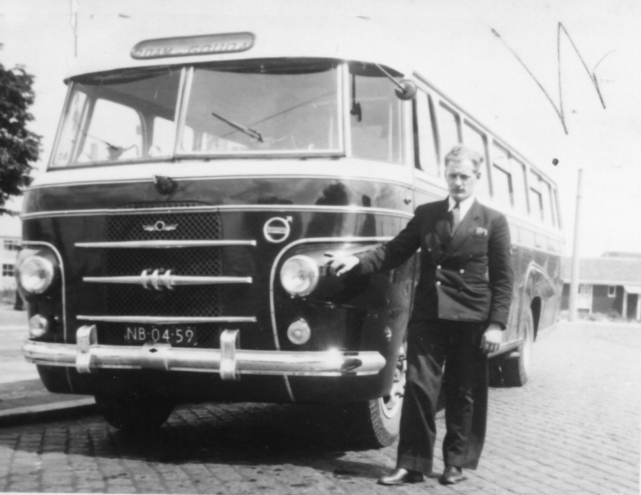 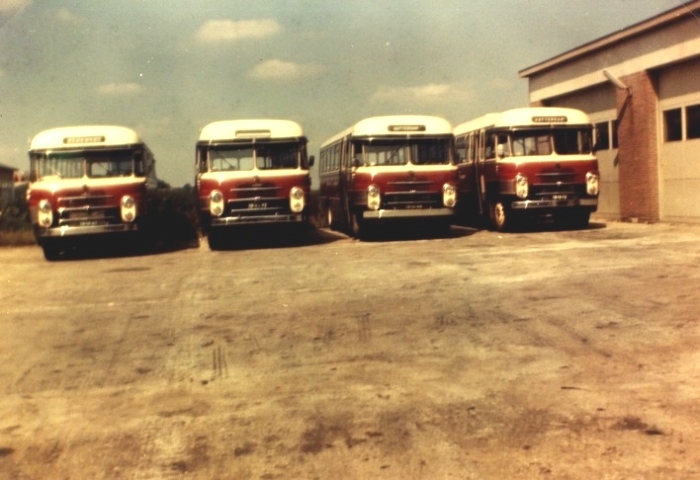 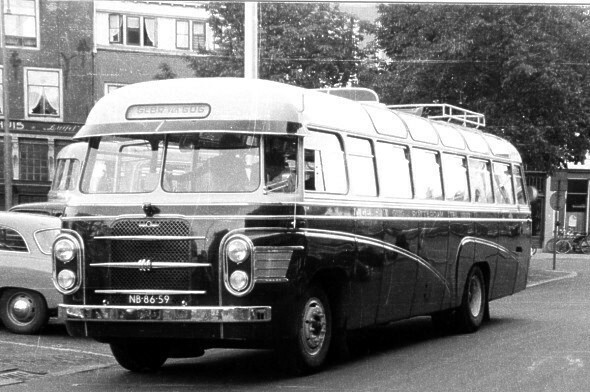 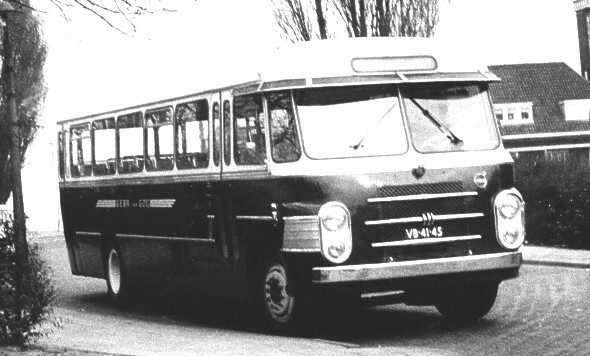 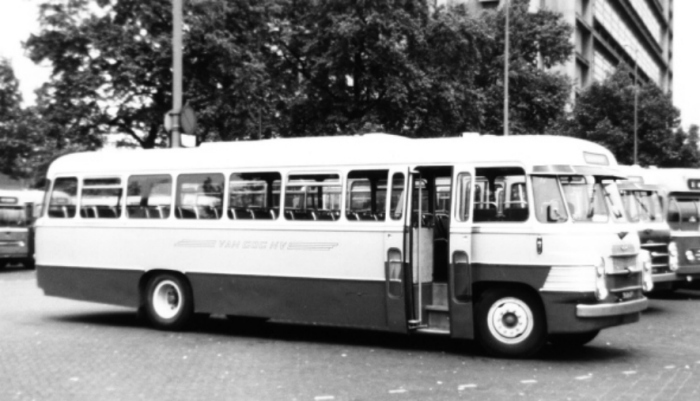 As Of FCA’s bus services NV until 1 January 1974 the company still continued to exist as a subsidiary of Citosa, starting from 1 January 1969 the Netherlands (WestNederland) of his successor. 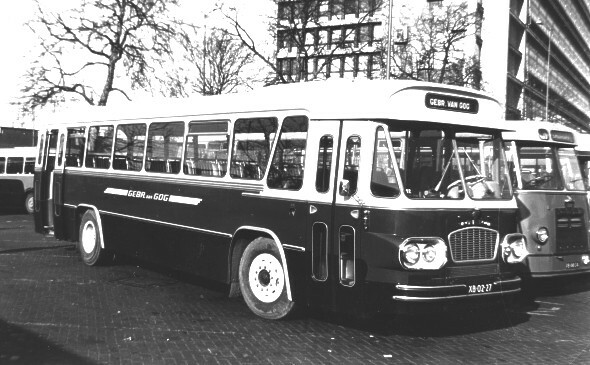 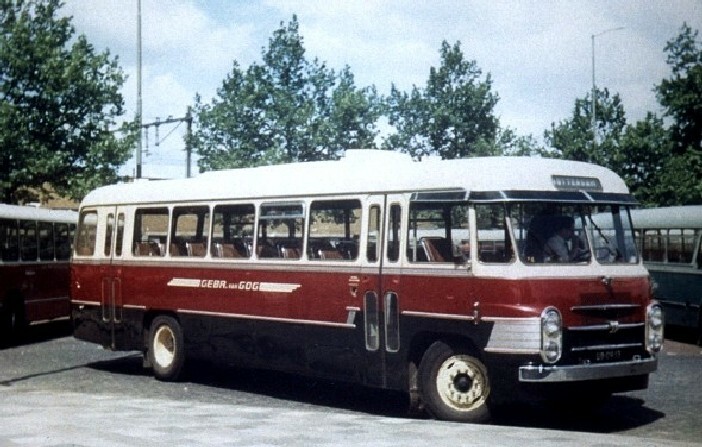 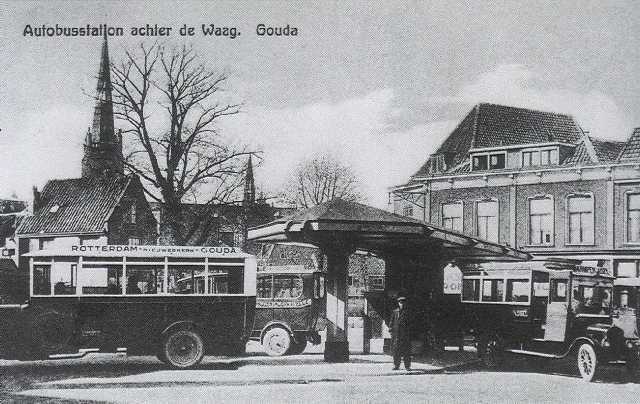 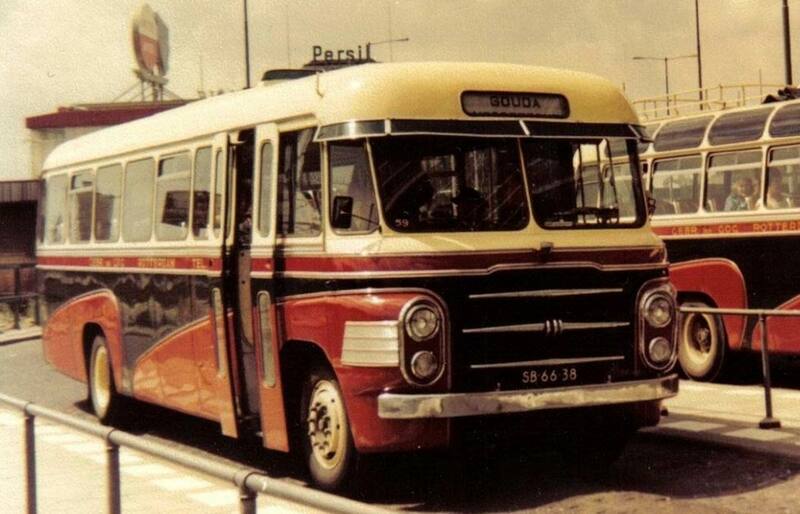 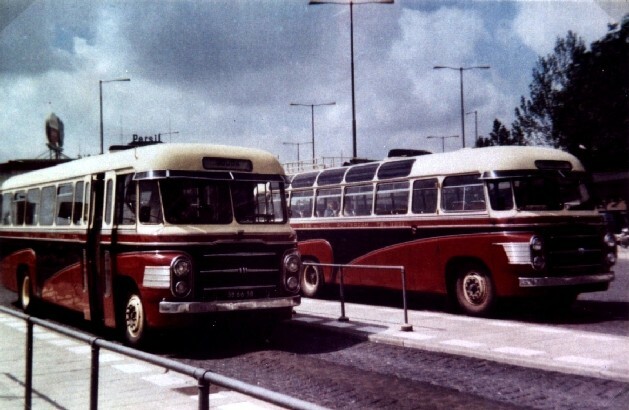 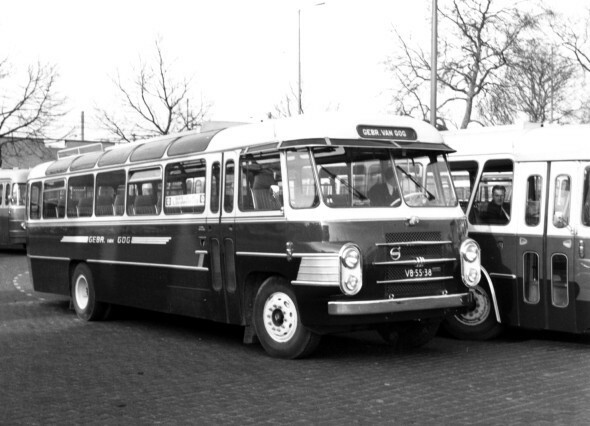 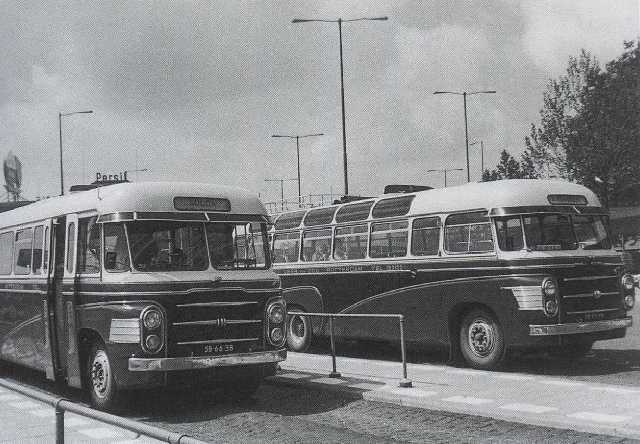 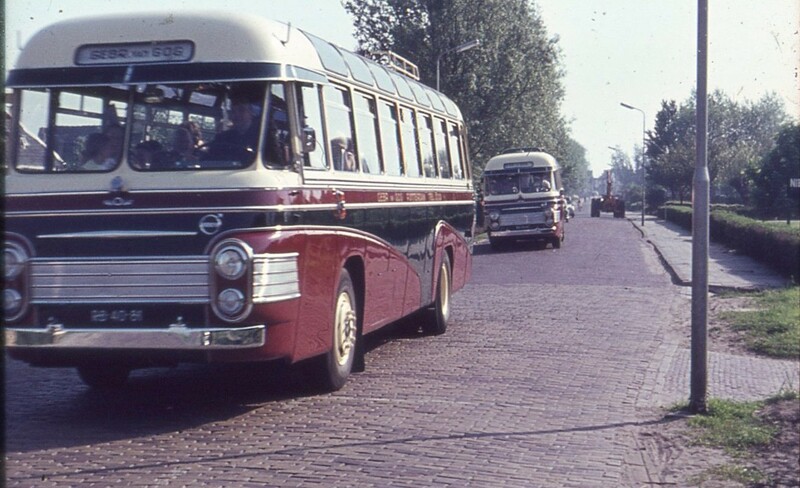 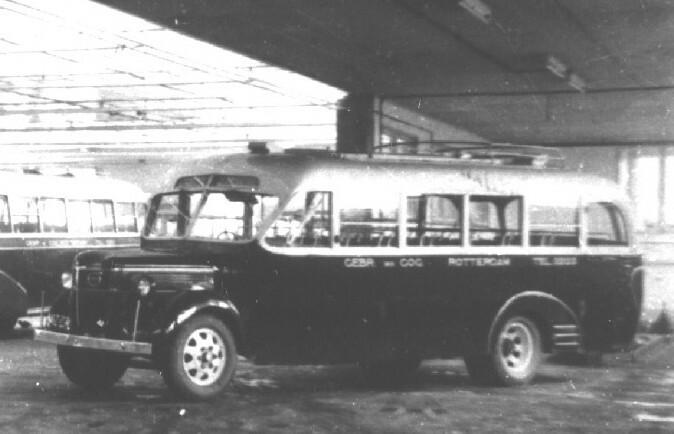 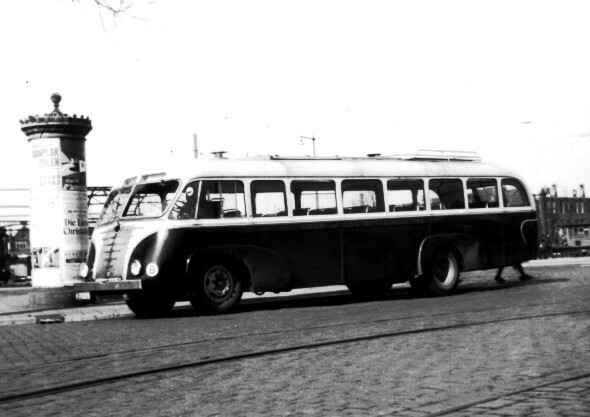 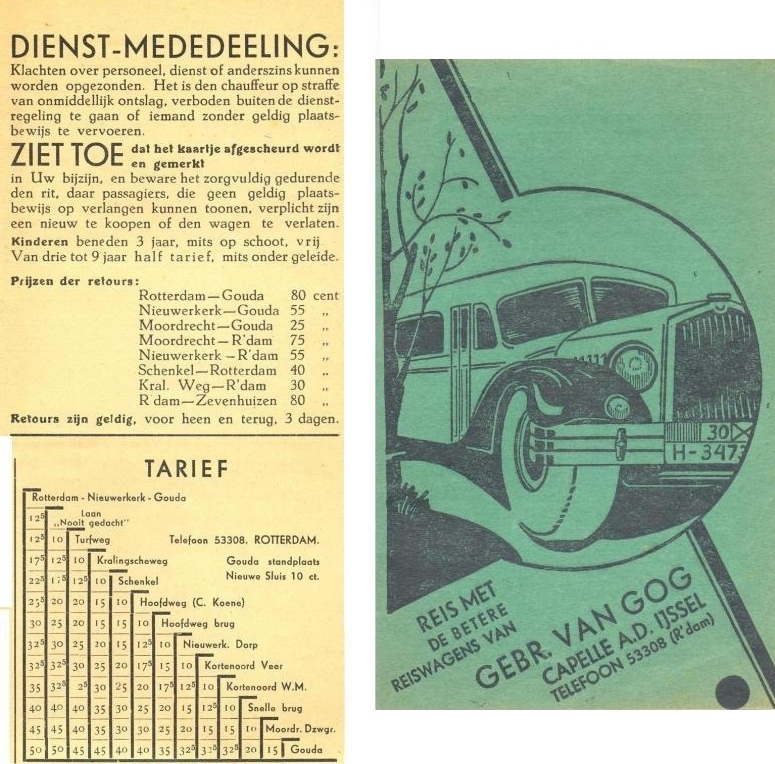 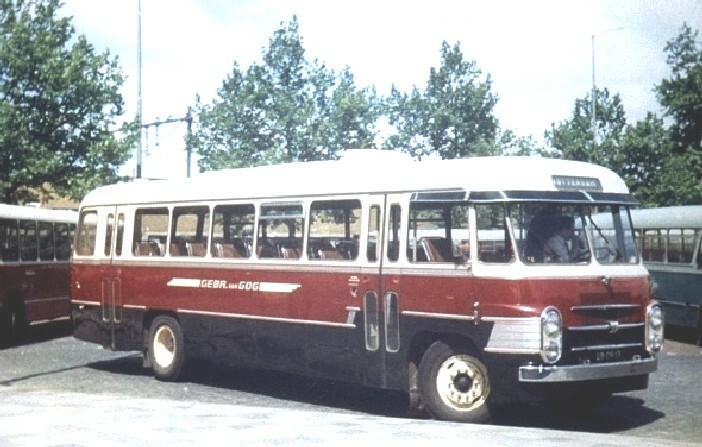 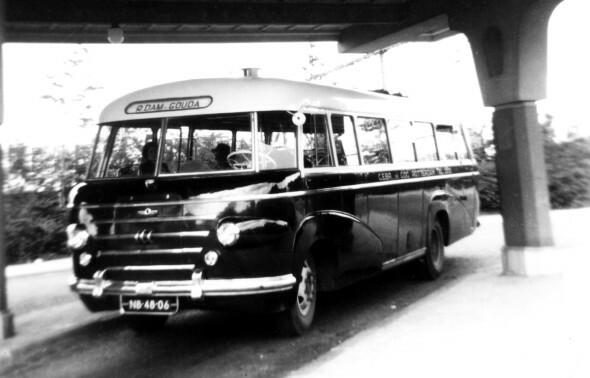 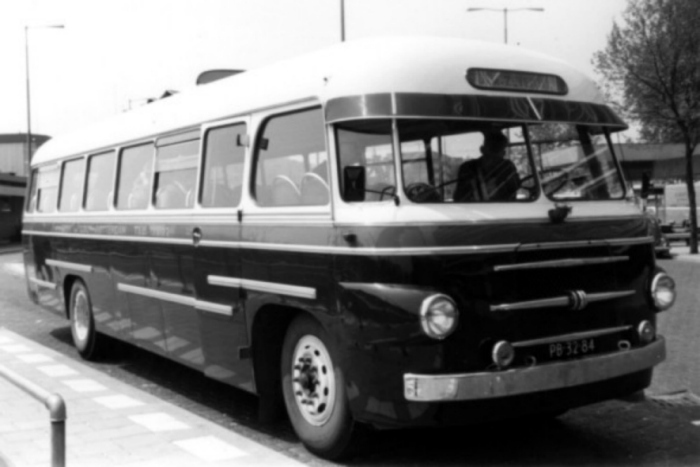 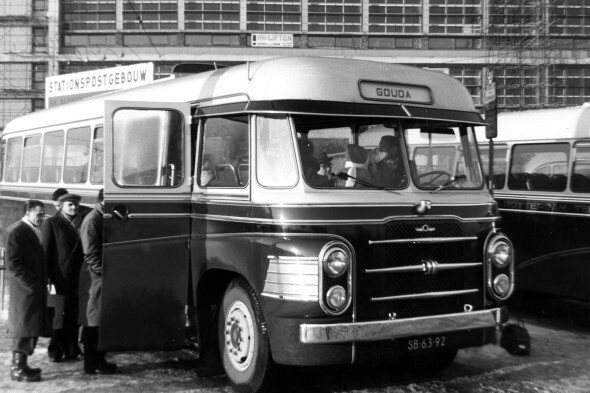 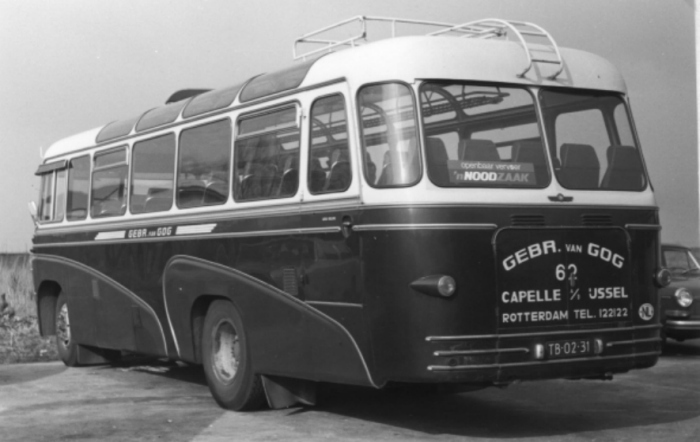 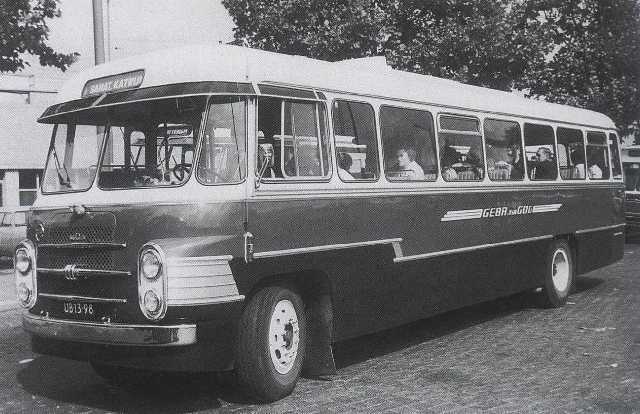 From 1969 to 1974 were also the city bus services were transferred to the Netherlands of Gouda, which by c.a.p.-participant van Eldik, operated under the name of Gog.